Ah, the annual OTC. A great time for WarMachine, and a wonderful opportunity to record a metric crap-tonne of battle reports! This episode Nick and I talk about our battles, and we’re planning on getting the rest of the team in a later episode! For our American listeners, conversion from metric crap-tonnes to Imperial crap-tonnes is approximately 1.47. 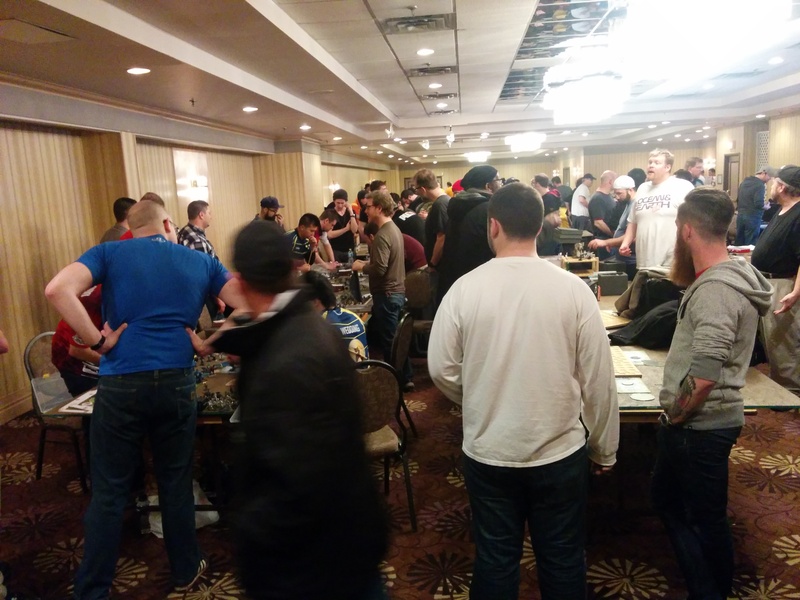 This entry was posted in Battle Reports, Conventions, Cygnar, Elara, Helynna, Kara Sloan, Podcasts, Retribution, Stryker, Tournament and tagged Batrep, Hordes, IABN, OTC, WarMachine, We are sorta the champions and that's good enough for us by Marx. Bookmark the permalink. Pathfinder in Cygnar (especially in Storm Division) = Maddox. Although, I’m not sure if she is “playable” as I haven’t tried her yet. Ooh, I forgot about Maddox… she’s actually not half bad. I mean, she’s not Stryker/Haley/Sloan/Nemo good, but then again, almost nothing is. And she’s certainly not bad! They’ve changed the final standings since we recorded. Quick comment on Nick’s Khador game, The Man-o-War officer grants assault. Sturdy (no push/pull) is a ‘Tactics’ and doesn’t go away by killing the officer. OK good to know. I didn’t come up in that game anyway. I was too busy pushing his jacks back into his battlefoam.